REBEL GIRL REVOLUTION: A JOURNAL WORKSHOP with Elyss McCleary and Elif Sezen. 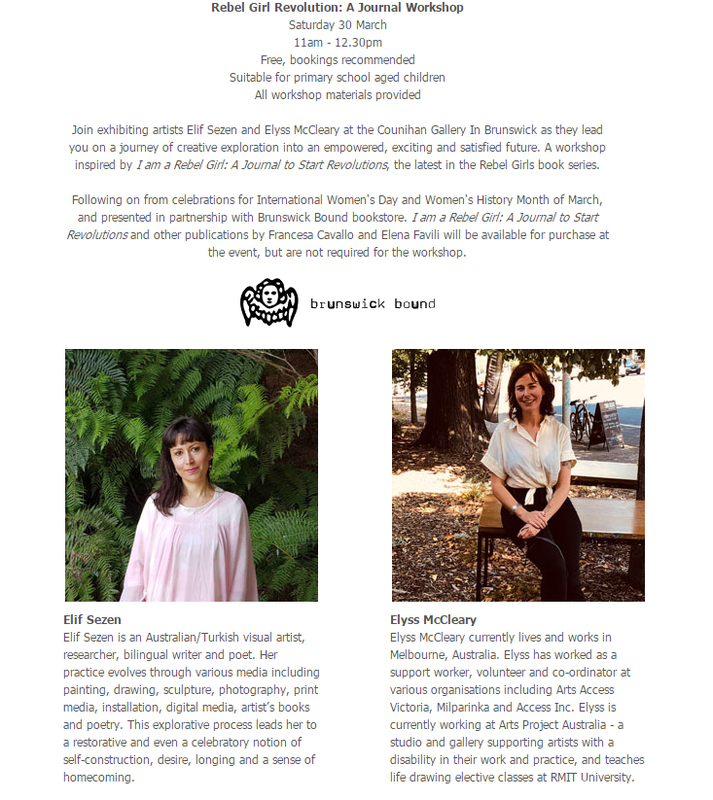 A great workshop coming up at the Counihan Gallery In Brunswick this Saturday - REBEL GIRL REVOLUTION: A JOURNAL WORKSHOP with Elyss McCleary and Elif Sezen. The Correspondence Of Noticing is a project aimed at drawing attention to our surroundings. As simmering changes occur in our various lived environments a group of artists propose that noticing and making is a type of sustenance, a means of survival. Though addressing the landscape in their own unique way, dialogues emerge between artists as they reflect on still moments that can be seen as an antidote to combat sensations of expansion and erosion: trees that hold space amongst concrete, quietness of a void in the land before development, the quivering anxiety of forms in a shifting seascape. This is an ongoing series of works that are painting laments to the night trees. I take photos of the trees in the evening, dawn or at night, the paintings are quiet portraits of some of these.The sky and camera flash stage a surreal flat image of it in space. I often think about the trees there holding space, people and things around, sounds, ciggies, maybe rubbish or piss on it, a road through, a bright light. The neon glow of amber city or suburban occupational and health light for made for us is blaring on the tree, i wish i could give it some sunglasses for this at night at least. They are so very beautiful and strong, talking and making sounds with each other. Tristian Koenig is delighted to announce the launch of the gallery’s 2019 exhibition program with The Pinkness - a solo exhibition of new works by Melbourne-based painter Elyss McCleary. McCleary has previously exhibited at the gallery in the group exhibition The Means Make the Ends, with The Pinkness being her first solo project with the gallery. 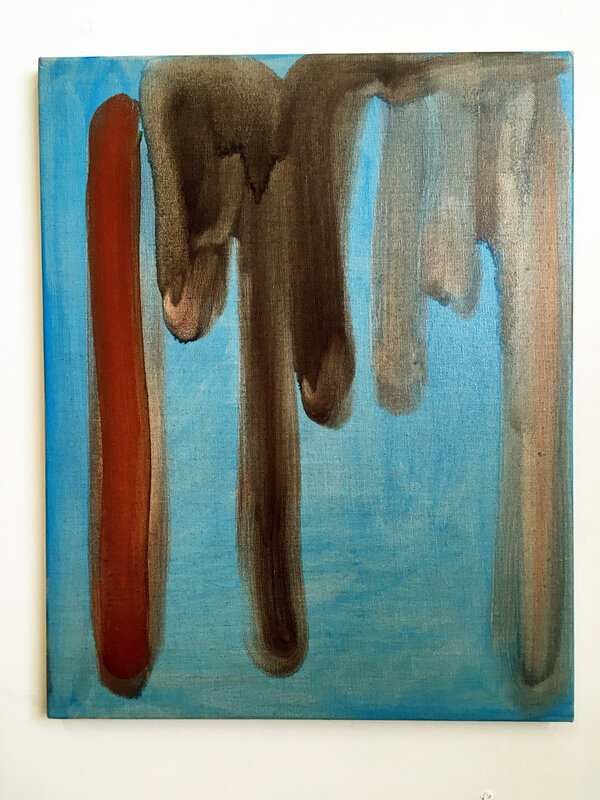 Elyss McCleary paints from within a vein of lyrical abstraction that is descriptive, as opposed to the proscriptive tenets implied by the quasi-movement within early post-war painting. Fusing memory with materiality, expressive haptics with Art History, along the way McCleary orchestrates a form of physical activity and moving meditation that is both fast and slow, soft and hard, viscous and unyielding. The titles of her works veer between evocations of the quotidian and passing, to contemplative archetypal spaces - where seagulls spying hot chips are juxtaposed next to mystical snakes slithering across the sky. Linked by a uniformity of scale, the works share uncanny combinations of hue and thinly veiled and translucent brushwork, with the resultant effect creating a curious circularity - one can clearly demarcate where gestures start and end, overlap and merge, however the works defy an identification of start and end. This effect of eluding elucidation is the mystery of Painting. Elyss McCleary completed a Master of Contemporary Art, Faculty of Victorian College of Arts, University of Melbourne in 2016 and a Bachelor of Fine Art (Drawing Major), RMIT University, Melbourne in 2008. Recent exhibitions include Open Eye Signal, Fort Delta, Melbourne; The Man with Three Names, LON Gallery, Melbourne; Bedrooms, Rubicon Ari, Melbourne and Estimating a Fort, C3 Contemporary Art Space, Melbourne. Her work is included in the Macquarie Bank collection. The title for this show is borrowed from the writers Claude Cernuschi and Andrzej Hercyznski who in their essay, The Subversion of Gravity in Jackson Pollock’s Abstractions, describe Pollock’s employment of gravity as a means “to extend the duration of his gestures”.1 In easel painting, finding new ways to form gesture, be it, by the brush or through other more unorthodox means (Brice Marden with his extended stick serves as a good example), has been an important pursuit by many artists. The four artists in Extended Gestures build on this endeavour. Their marks are records of bodily activity, as they pursue methods that are provisional and intuitive. Bold strokes of colour are applied with careful attention to the stroke’s intensity and speed. They innovate ways to disperse paint, be it, through maximum thinning, or strokes that are at once, abbreviated and extended. In Extended Gestures the gesture is distilled, the painting process renovated and the very orthodoxies of easel painting challenged. 1. Cernuschi, Claude, and Andrzej Hercynski. "The Subversion of Gravity in Jackson Pollock's Abstractions." The Art Bulletin 90, no.4(2008):616-39. My painting has been included in first exhibition of 2018 at James Makin Gallery. The Summer New Group Show opens this evening featuring works by Andrew Chan, Carla Fletcher, Betra Fraval, Jack Rowland and Paul Ryan. The exhihibition is on from the 17th January to 10th February 2018. For B-SIDE, BLINDSIDE will present a large-scale exhibition of work for sale by our accomplished and significant alumni. Each artwork on display in B-SIDE will be linked to a partner work (a b-side), which will be revealed only to the buyer. All funds received will help to support the activities of one of Melbourne's leading not-for-profit contemporary art spaces. 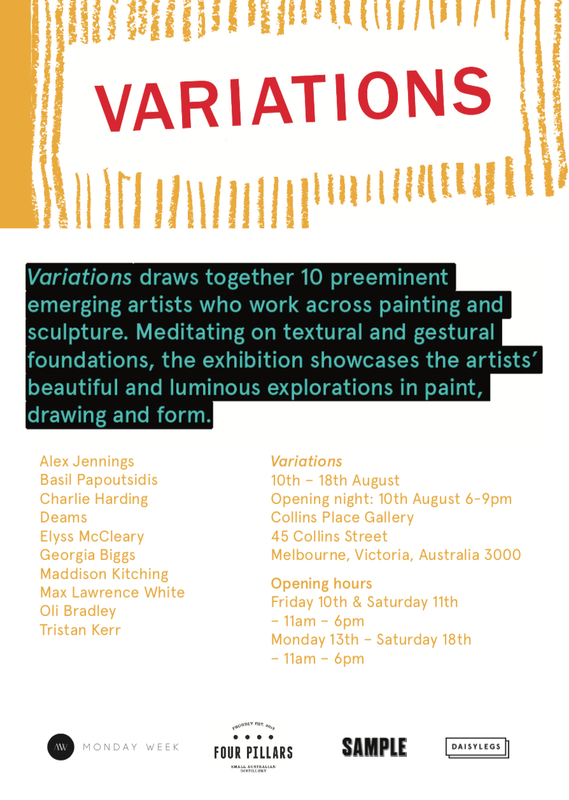 This is a great opportunity to pick up some amazing artwork by a selection of Melbourne's leading practitioners. Sale starts at 6pm sharp. We would like to acknowledge the generosity of Four Pillars Gin, Impact Digital, Sample Brew, Samuel Wynn & Co, T'Galliant, Untold Rum and Wolf Blass. A big thank you to ACCA, Aesop, Búl Clothing, Fini Frames, Gorman Clothing, Heide MoMA, Hound and Bone Fine Art Printers, Kim Soo, The Lifted Brow, Lucky Buster, Studio Thomas Lentini, The Melba Spiegeltent, Third Drawer Down,Tillda Flowers and Welcome to Thornbury for their generous gifts as a part of our raffles. info@BLINDSIDE.org.auBLINDSIDE is an independent contemporary arts space located in the heart of Melbourne, Australia. Our mission is to push and foster contemporary talent, providing a discursive platform for collaboration and experimentation. BLINDSIDE operates on the traditional lands of the Wurundjeri people of the Kulin nation. BLINDSIDE acknowledges them as Traditional Owners and would like to pay respect to their Elders, past, present and emerging. Open House invited artists to submit a collection, object, concept, drawing, model, painting, sculpture, mixed media, collage, ephemera, image, video, website, story, memory or dream that is found, inherited or created and tells a story about how, where or why you have lived as an artist. Open House is an exhibition that will present this accumulated collection of artists objects and artworks and display them within a framework of reconstructed furniture and DIY building materials accompanied by a printed catalogue. The concept of Open House is to amass a collection of creative responses to housing specifically from artists so as to explore the emotional, economic, social and physical circumstances of living as an artist, historically and today. Nth Space has been a fantastic gallery offering artists and curators a free space for the last six months. Due to tenure reasons, it will be the final show this weekend. I would like to thank Nth Space directors Kubota Fumikazu, Matthew Engert and Russel Dammers for all their generous support. Come celebrate all the goodness of this place this Saturday! Elyss McCleary Woman Looking oil on linen, 51cm x 41cm, 2017. Nth. is excited to present Settings, a suite of new paintings by Elyss McCleary. “The stacking of things and gestures of paint are collaged up the wall. There are three different instances of the work: a painting, a reconstructed shelf, and a long mirror. All the different forms unpack the colours to make shapes and settings to themselves – an ambiguous subject of colour that suggests it’s us and our surroundings. Adopting a response to the interior space of the corridor at Nth., the display of this installation continues my interest in assemblage of colour. These new works contain a measure of closeness to smaller areas, enlarged motes of seen things in in-between spaces, colour blurred and abstracted in its forms in-between the rhythms of the body charged with pulse and hesitation. The distinction between the internal and external space of the work and what it rests on is like a chaotic order, remaking the organisation of colour combinations and structuring of which way they are painted-in from back to front, front to back. Collecting and responding with immediate application of paint, where things are positioned, to various spaces outside and inside, giving intimacy to the spatial energies of that. Over-emphasising the play of light on surface to colour compositions. Settings reassembles and saturates the fleeting motes with colour, paying close attention to observing spatial substructures of colour and forms. 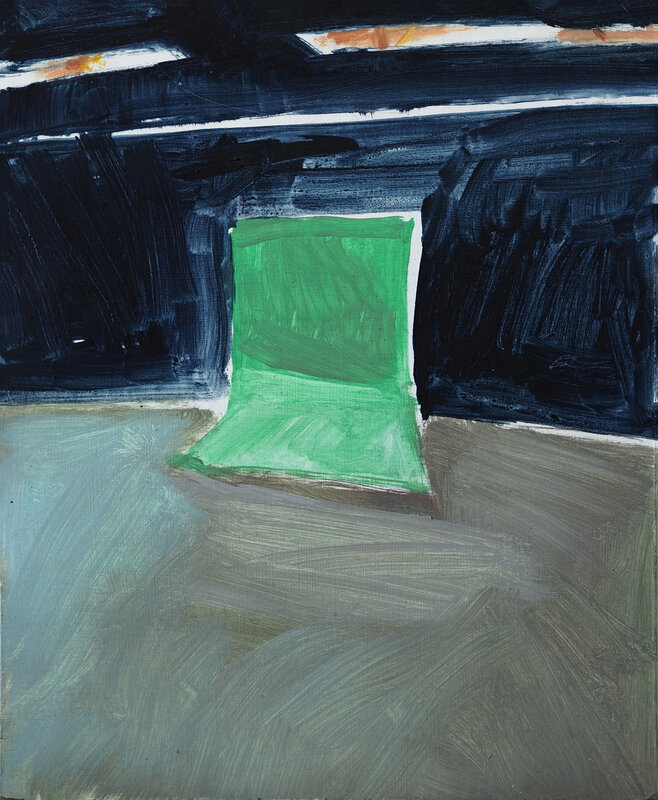 The scenes within the paintings are intimate but undetermined spaces, with settings that could be of anywhere or time, really; that play with the perception of surface and depth of colour placements. 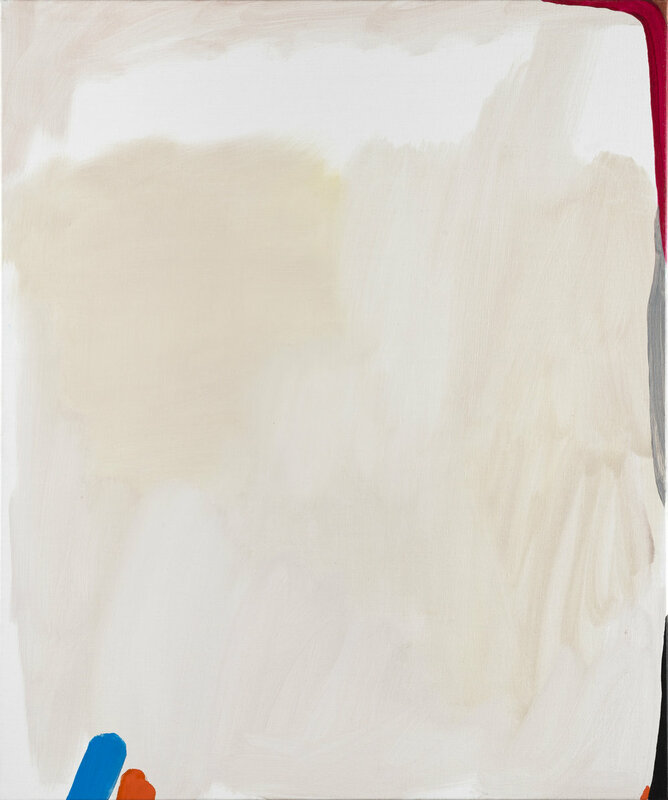 This exhibition considers our emotional and remembered relationship to colour combinations. Placing perspective, and call and response to observing things and energies taken from walks, interiors and imaginings of made-up imagery in front of me. As an entry point forlight and dark luminosity and colour romanticism; evoking the real and imagined and fantasised – a chase-sequence of motes. You are invited to the Nillumbik Prize 2017 exhibition to be opened by Nillumbik Shire Mayor Councillor Peter Clarke. First prize of $5000 and two commendations of $500 to be announced by Dr Isobel Crombie, Assistant Director, Collection and Curatorial Management, National Gallery of Victoria. What’s Happening Here? takes a look at some of Melbourne’s most interesting emerging abstract painters. This group of artists produce works that are full of vigour, colour, and abject freedom. The title is a play on a common query about abstract art’s meaning as well as a reflection on an apparent surge of young artists working with imagery of this kind in Melbourne. Sarah Gosling, Lizzi Morris, Francis Cannon, Kinai Wong, Camille Thomas, Katie Paine, Isabelle De Kleine, Brad Rusbridge, Jordan Hickey, Joseph Flynn, Nicholas McGinnity, Emma Michaelis, Pip Ryan, Ryan McGennisken, Nicholas Ives, Danny Frommer, Xanthie Dobbie, Julia Trybala, Nyah Cornish, Emma Orbach, Prue Stent, Kimberley Liddle, Patrick Lamour, Rebecca Agnew, Travis Vella, John Brooks, Elyss McCleary, Kubota Fumikazu, Adam Stone, Peter Thomas, Justin Hinder, Jordan Wood, Darren Nedza, Elly Steinlauf, Portland Francis, Aly Westwood, Dean Thompson, Sabastian Franz, Josh Hook. Screen, oil on masonite, 22cm x 27cm, 2016. Ive very much enjoyed the last 2 years studying at the VCA, Im pleased to celebrate to have completed a Masters of Contemporary Art. The exhibition opens on Monday, come along and see what everyones been making! 2016 Masters Exhibition - Opening Night Celebrations! Image credits: Corinna Berndt, Master of Fine Art, screen tests, 2015 - 2016, HD Video still.